In January, six people in Oklahoma City, Oklahoma were approved by the Federal Association Board of Directors for candidacy in the Class of 2020. They will join Frank Keating, KM, and Peter de Keratry, KM, to help build a new region in Oklahoma City. 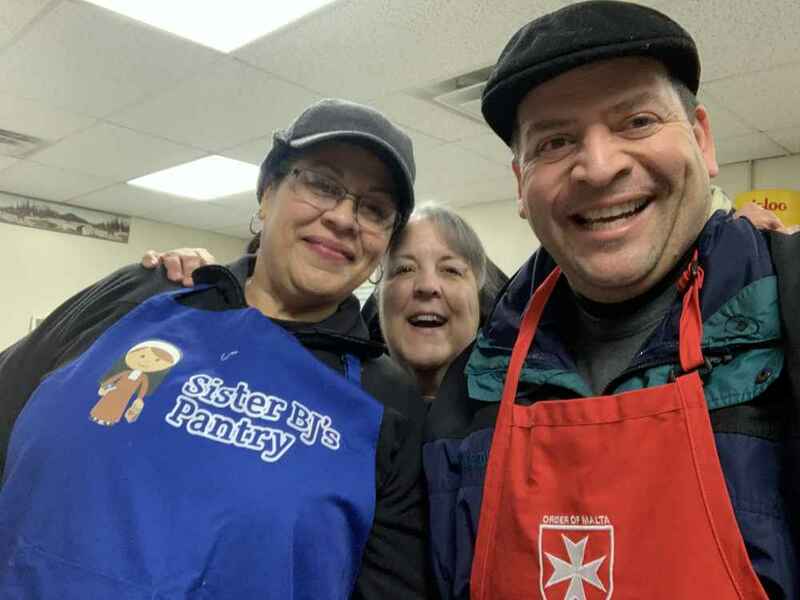 As a new developing region, Oklahoma City, held its first activity at Sister BJ's Pantry, serving 150 homeless men and women on a Sunday morning. 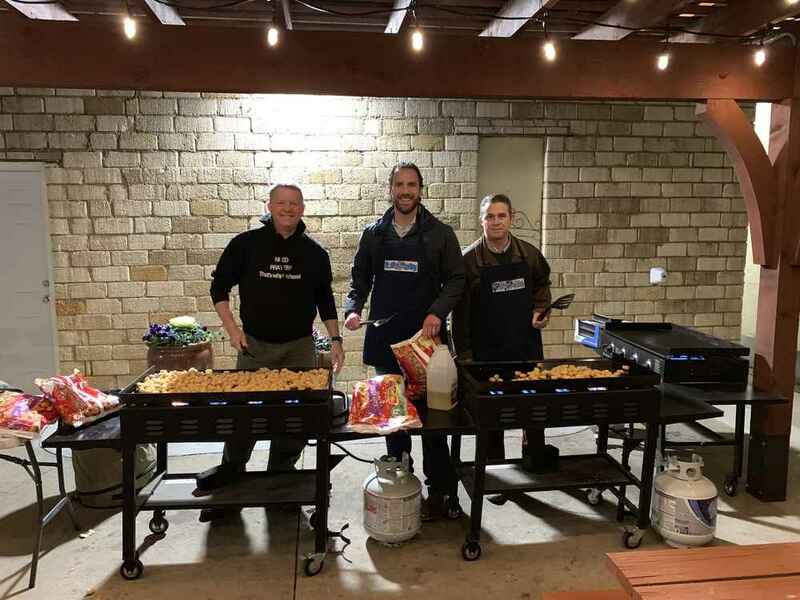 Arriving at 5:45 a.m., the group prepared and served a hot breakfast, cleaned the pantry, then went on to morning Mass. The group plans to continue this service each last Sunday of the month. 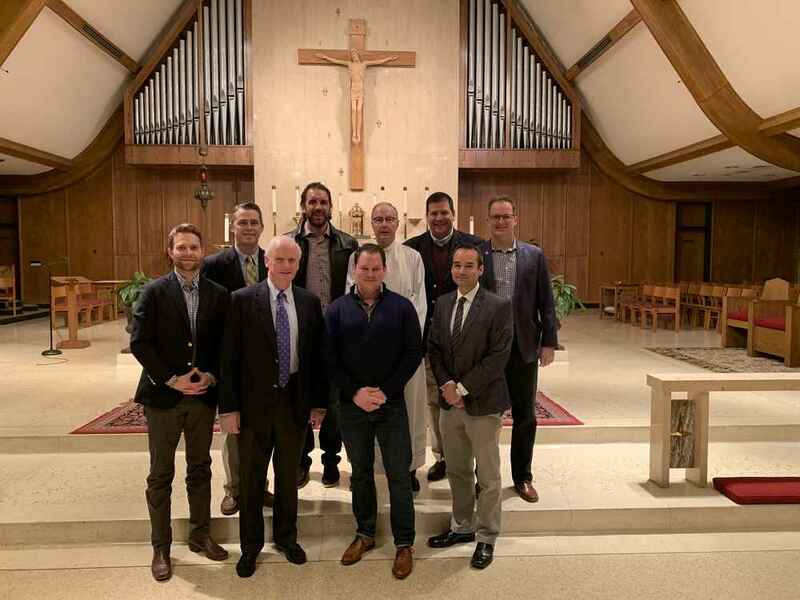 In addition, the group will meet on the first Friday of each month for Mass at 6:30 a.m., to be followed by breakfast and discussion. The Rev. Rick Stansberry, the judicial vicar of the Archdiocese of Oklahoma City and pastor of Christ the King parish, has agreed to serve as a chaplain for the members and candidates. 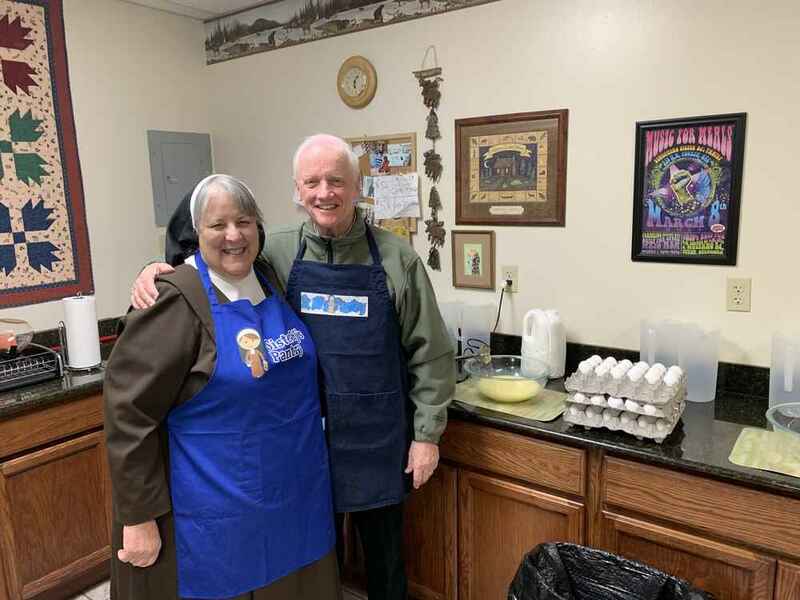 The nearby photos are from the visit to Sister BJ's Pantry and from the first Mass for the Oklahoma Region on February 1.